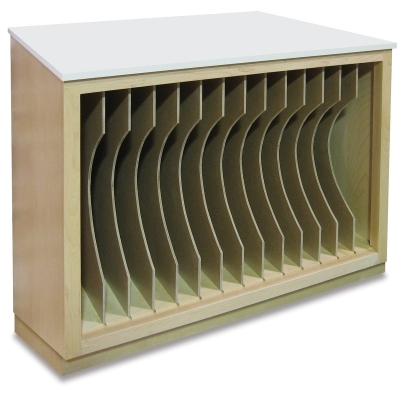 Keep artwork and portfolios organized and out of the way with the Hann Portfolio Storage Cabinet. 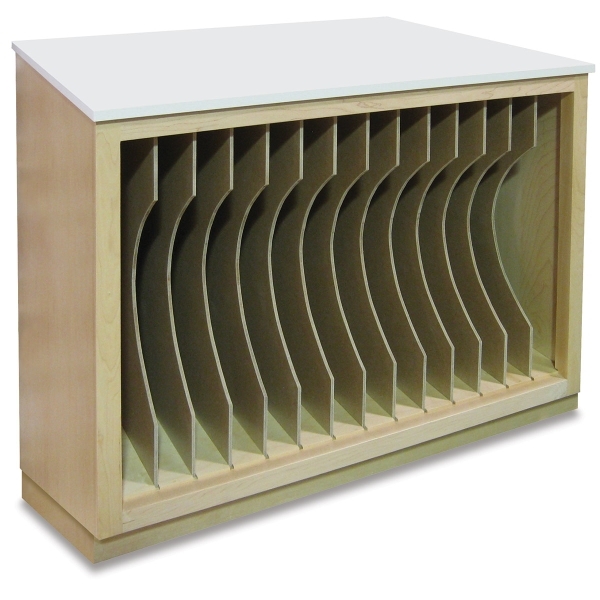 The adjustable storage center features removable dividers so you can accommodate thicker items as needed. The cabinet's default spacing creates 13 separate storage slots, each measuring 24¾"H × 2¼"W × 29"D. The dividers are 1/4" thick and made of hardboard. The cabinet's top is smooth, 3/4" thick Fiberesin. Built to last, the heavy-duty Hann Portfolio Storage Cabinet measures 33"H × 39"W × 30"D and is made in the USA from solid hard maple.